The Westhaven Promenade consist of a waterfront made from timber that offers a view of the bay along with the many yachts that are docked here. 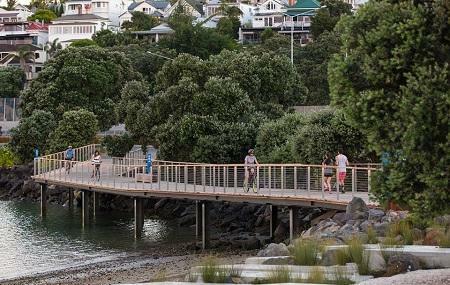 The promenade covers a distance of 5 metres and is truly one of the best ‘local experiences’ in the city. A walk here is perfect during early morning when you can spot birds flying around and the view of the concrete city juxtaposed against the serene blue water. After dark, the same scene turns into a romantic place with the city lights reflected in the bay. Timings of eateries along the promenade vary. People normally also visit Aotea Square while planning their trip to Westhaven Promenade.